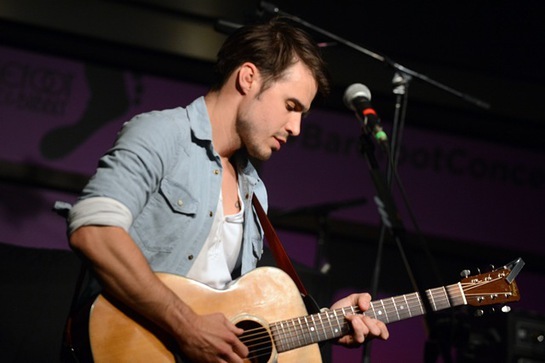 On Tuesday night in Nashville, two American Idol alums teamed up to give back and kick off a new partnership between Barefoot Wine & Bubbly and Soles4Souls at “A Sole-Ful Evening with Kris Allen & David Cook”. 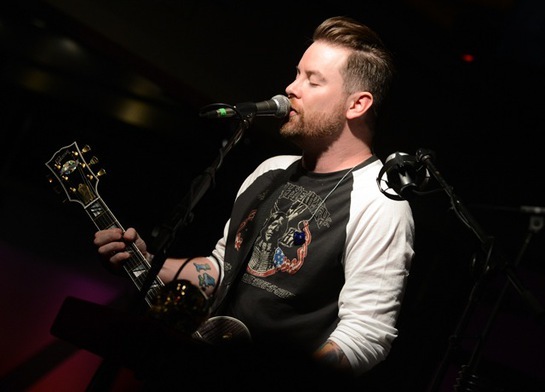 At the charity benefit concert, Kris Allen and David Cook took to the stage to play fan favorites such as Kris’ “Live Like We’re Dying” and Cook’s “Light On” while guests sipped Barefoot Wine & Bubbly. 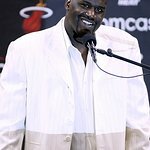 Kris even treated the audience to a sneak peek of his upcoming album and previewed two new tracks, “Paul Simon” and “Everybody Needs to Dance,” that will be released later this year. Those who attended the free show were asked to donate a pair of shoes to Soles4Souls, a nonprofit organization that works to fight the impact of poverty by collecting new and used shoes to distribute to people in need. 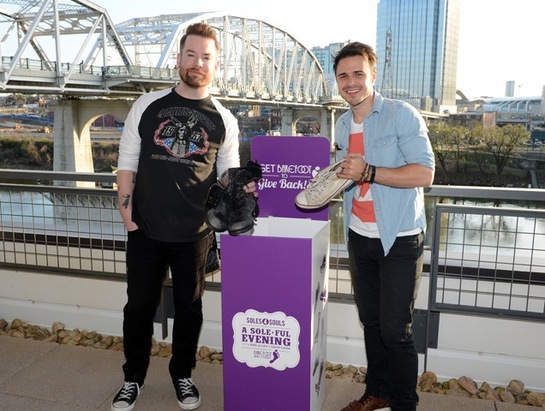 Both Kris and David also joined guests by donating a pair of their own shoes to the Nashville based non-profit. Kris donated a pair of Converses and David a pair of black combat boots. Also joining in the evening’s cause was Nashville star Oliver Hudson, who stopped by to check out David and Kris’ sets while supporting Soles4Souls. The self-proclaimed Idol fan made sure to donate a pair of shoes and hung out to take in the live music even though he had to be on set early the next morning. At the end of the evening, Barefoot Wine and Soles4Souls collected both funds and shoes to outfit more than 1,500 people in need and kicked off this partnership as part of Barefoot’s support of nonprofit organizations for more than 25 years.